America will be Great Again when Americans start doing great things again. One great thing we can do is end abortion! In Virginia and several other states this year there is legislation being offered to eliminate 2nd Trimester Abortions. In Virginia, this legislation is being proposed by Delegate Dave LaRock. Del. LaRock is reaching out to the citizens of Virginia to request that their representatives join him this year in voting for HB 1473 – 20 Week Pain Capable Unborn Child Protection Act – legislation that has been proposed for the past two (2) years, but killed in committee each time. This year Dave reached out to the Shenandoah Christian Alliance, among many other groups, for endorsement of his initiative and his request created the dilemma of either 1. 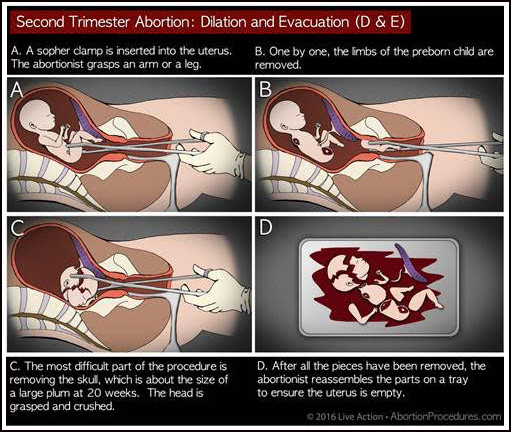 Supporting an incremental and immediate measure to curb some of the most inhumane aspects of the abomination that is called “abortion” (a rational based on the horrible pain inflicted) or 2. Taking a stand that all attempts to end a human life after conception are an abomination to God (irrespective of the level of pain) and supporting a total ban on abortion based on the scientific evidence that life begins at conception, and more importantly, just as God has told us in His Word. By the way, the Ohio state legislature has just recently passed an even more restrictive measure based on “presence of a heart beat”…reducing the time of gestation from 20 weeks to about 6 weeks (after which abortion would be illegal). Yet another incremental gain for the defenseless unborn child. If you feel strongly about this issue, please get involved and contact your state and national representatives and tell them how you feel and what you would like them to do. You can locate your national representative, and you can contact your Virginia representative. If we all get involved, we can end this inglorious chapter of our American history. Thanks for caring about the unborn.